Our friends at Nomad have an ever growing reputation for some of the most cutting edge and stylish peripheral accessories currently out there on the market. 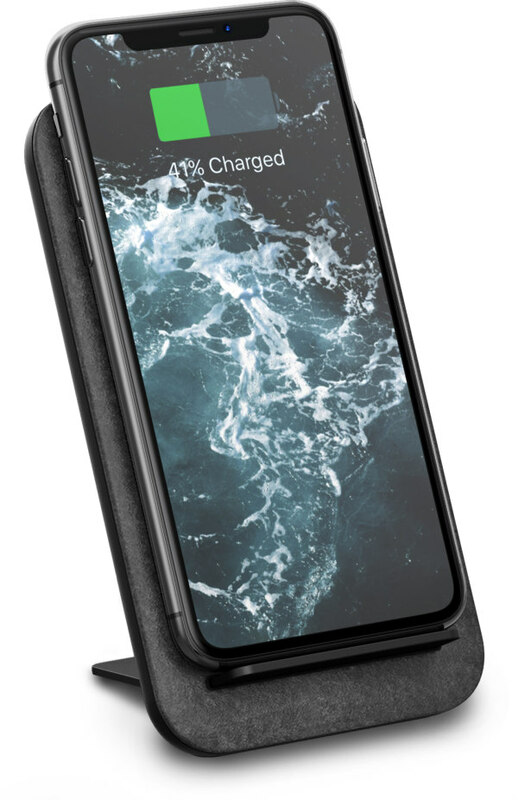 So when we heard about their new Nomad Wireless Travel Stand which promised a minimalist but functional way of charging your iPhone 8/X on your desk/bedside without having to pick up your phone we simply had to find out more! 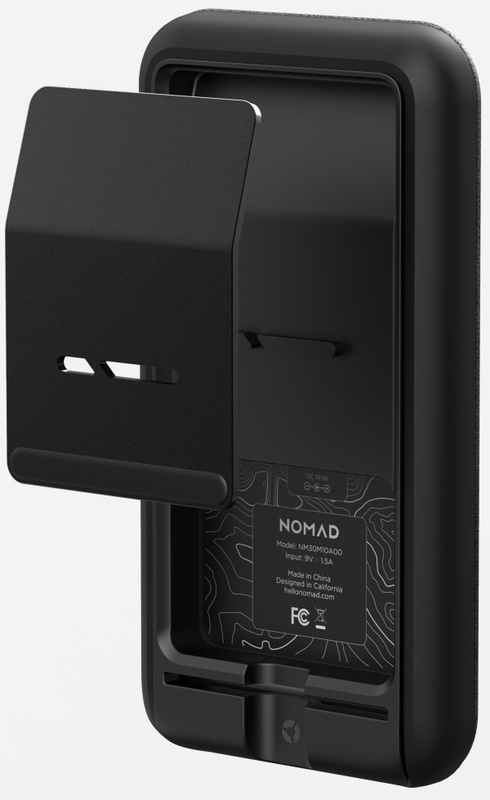 Straight out of the box it’s evident the Nomad Wireless Travel Stand has been built with Nomad’s standard attention to detail. It’s robust and sturdy casing is evidently strong enough to be knocked around whilst travelling and is certainly something made to last. On top of which the leather used on the casing is the legendary Howreen Leather Co’s very own – one of American’s oldest tanneries. 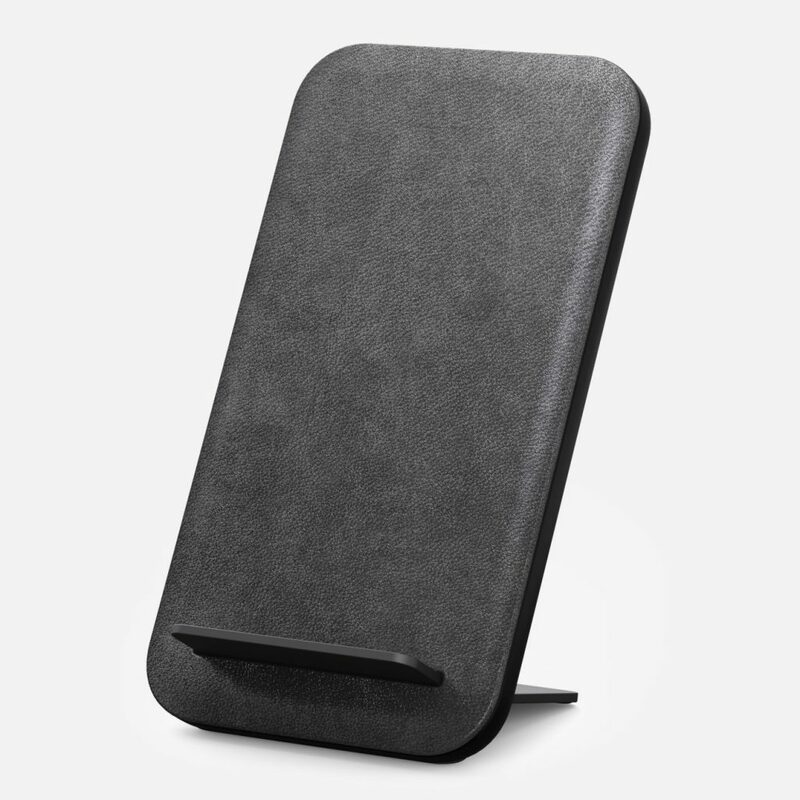 This really gives the stand a unique edge akin to their charging wallets and phone cases. So as over time your stand will develop it’s very own unique patina within the leather. A simply amazing addition. As a stand it’s easy to get setup. All you need is a standard wall plug to plug into and a flat surface. From there the stand is remarkably easily assembled with an integrated aluminium stand which quickly snaps onto the bottom of the stand to keep it held into place when you need it most. But don’t be fooled that the stand is all about aesthetics. 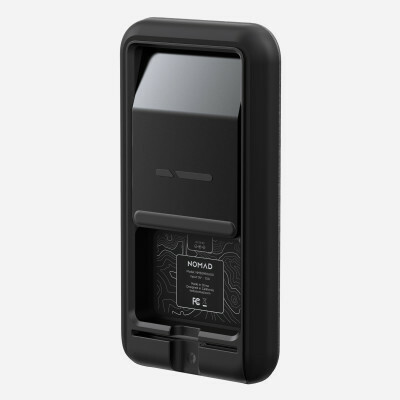 For within the casing a high powered 7.5 coil delivers incredibly fast wireless charging. We were blown away by just how effective the charging was. Any iPhone user knows that charging has always been a key issue with these devices so it was fantastic peace of mind to have a fully charged phone in a very short space of time.